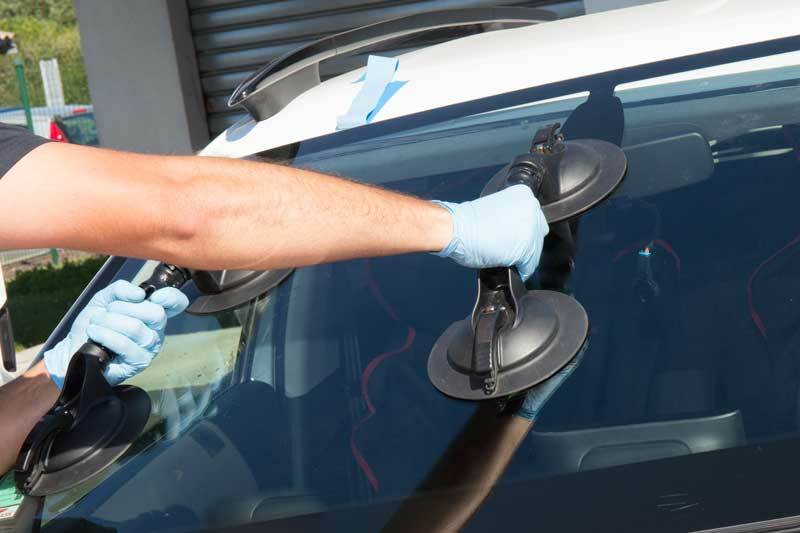 A chip or crack in your vehicles glass or windshield may seem like a minor inconvenience that can be dealt with later. Over time, that chip or crack can grow larger, compromising the safety system of your vehicle. What started so small and may have only needed a repair, could turn into a full replacement. If the damage to your windshield is small, it may be able to be repaired. During the repair process, a resin is used to fill the gap, creating a bond which will stop the damage from spreading further and restoring the structure integrity of the windshield. Auto glass repair is more economical than a windshield replacement and is just as effective. When the damage to your auto glass necessitates a replacement, or the crack extends too far during the repair process, our factory certified technicians will use OEM parts to replace the glass. The correct primers and adhesives will be used to install the glass accurately, ensuring a tight bond with no gaps. If you’re unsure if your auto glass can be repaired, bring your vehicle into Magnum Collision Center so that we can assess the damage for you. We work with all insurance companies to provide a hassle-free experience for you. Many insurance company will cover auto glass repair for little or no cost to yourself. We will manage the negotiation of the entire repair process with your insurance company, leaving you to get on with your day while the repairs take place.